Sean Szymkowski November 23, 2018 Comment Now! A unique Porsche 911 Turbo will cross the auction block via RM Sotheby's at its Petersen Automotive Museum auction. 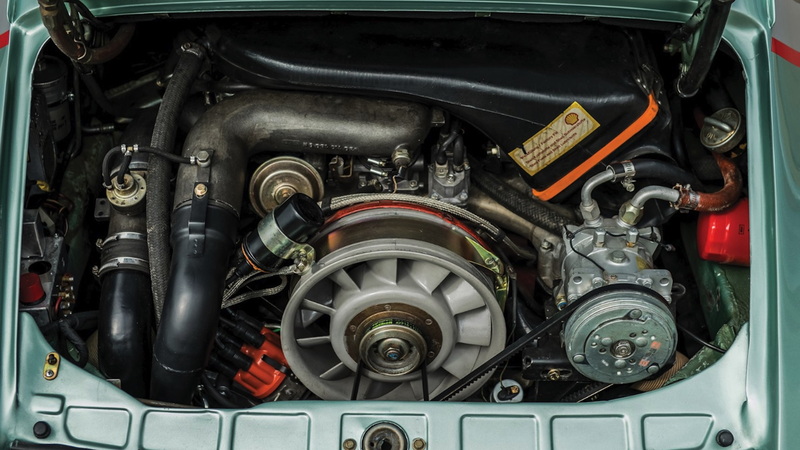 This 1976 911 has been fitted with a 935 Group 5 racing package and remains in stellar condition. 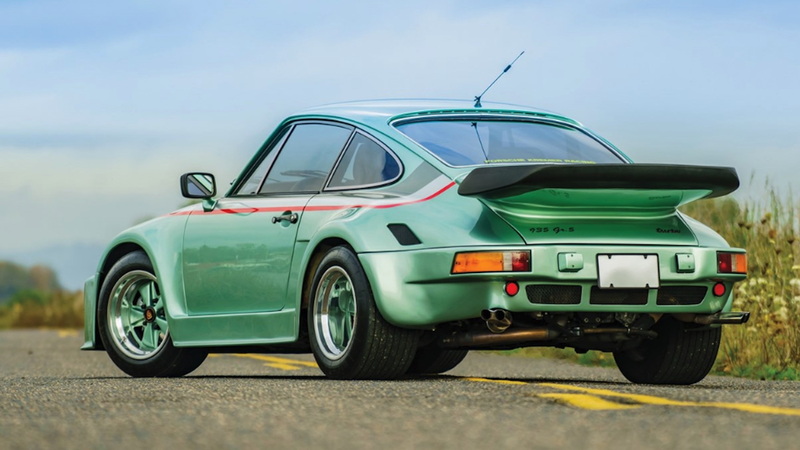 According to the consignment information, the 1976 911 was ordered by a well-known hairstylist in Heidelberg, Germany. The owner specced the car in an Ice Green Metallic exterior color and green leather interior. But, the owner then shipped the car off to Kremer Racing, which installed the 935 racing package. 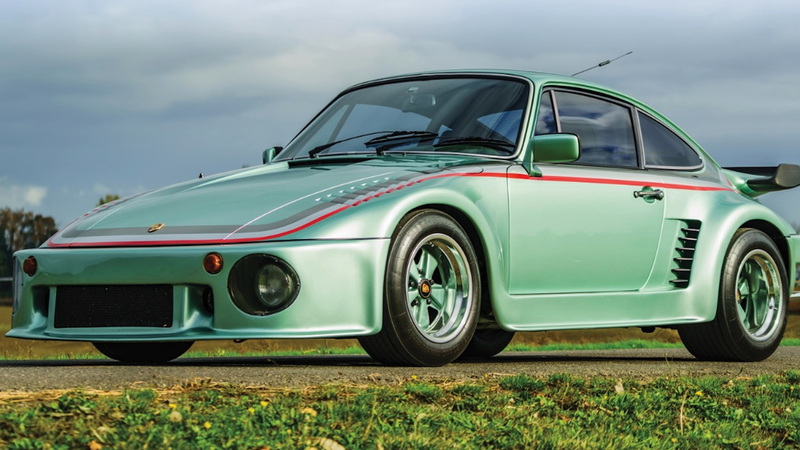 Aside from the racy performance modifications, the car was equipped with custom fiberglass bodywork to better mimic the 935 race cars, dual quad-tipped exhaust, and power-adjustable bucket seats. 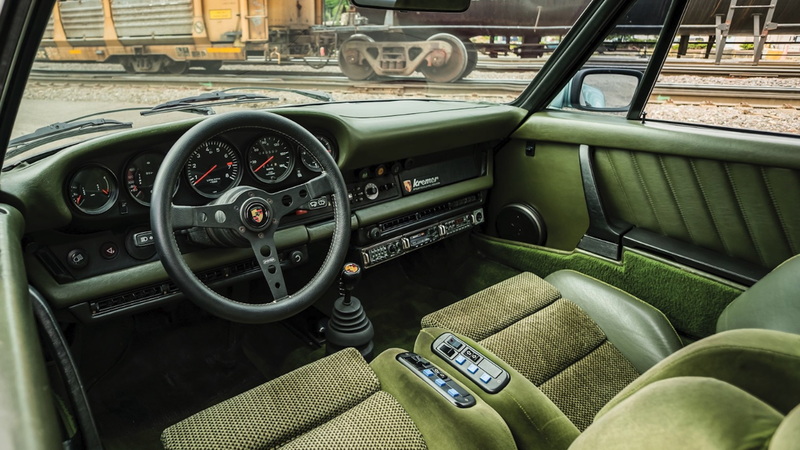 Further, Kremer also outfitted the interior with unique green door panels, carpeting, and a matching green dashboard. In this case, being green is very easy and it looks delightful. Finally, the company installed a high-end audio system (for the time): a Blaupunkt system with cassette player. The car still retains its factory options, which include the rear fog lights, Pirelli tires, and air conditioning. In the 1980s, the car's second owner purchased the 935 and planned to quickly sell it to a third buyer in Boston, Massachusetts. However, the prospective buyer backed out of the deal after a test drive. So the story goes, it was too much for him or her. Eventually, the car made its way to Los Angeles and New Mexico where it was sold as part of a real estate deal. Since then, the car has traded hands a few more times. Today, it shows just 41,000 miles on the odometer and a 3.0-liter turbocharged flat-6 engine sits at the rear. A four-speed manual sends power to the rear wheels. In the last five years, the car has been resprayed with its factory Ice Green Metallic color and received new exterior graphics. Additionally, a new set of Michelin tires have been installed. 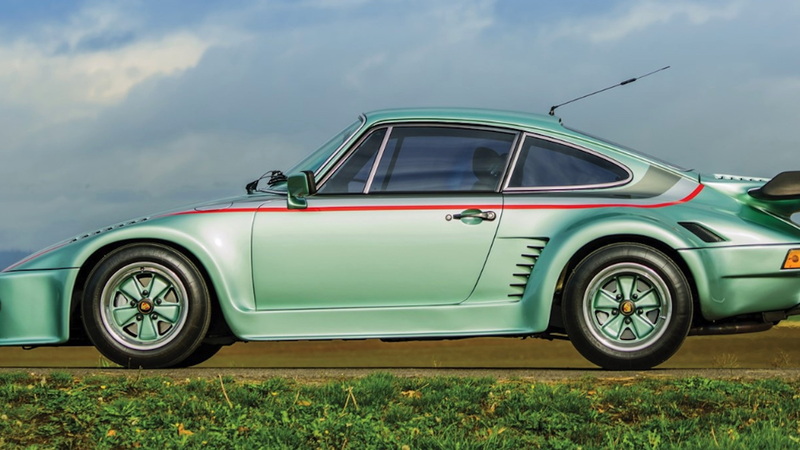 Look for this rare Porsche to cross the block on Dec. 8, where it's expected to fetch up to $200,000.